In 2013, Shubhashish Bhutiani’s short film Kush had premiered at Venice Film Festival and it won the Orizzonti Award For the Best Short film. This year, he is returning to Venice with his debut feature, Mukti Bhawan (Hotel Salvation). 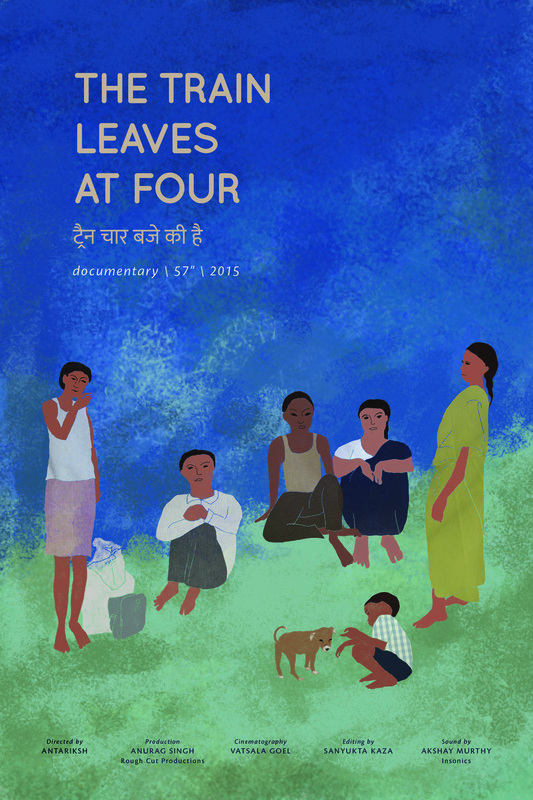 The film was one of the the 4 projects that was selected for 4th Biennale College – Cinema (2015 – 2016). This is the initiative launched in 2012 by the Biennale di Venezia to promote new talents, offering them the opportunity to work side by side with the masters in the making of micro-budget feature films. The film stars stars Adil Hussain, Lalit Behl, Geetanjali Kulkarni, Palomi Ghosh, Navnindra Behl and Anil K Rastogi. Its first trailer is out. Do have a look. At first glance, it looks like the perfect exotic subject for the west. But its bittersweet charm disarms you quickly. Production Company: Red Carpet Moving Pictures Pvt. Ltd.
To know more about the film, its FB page is here. As part of our Mumbai Film Festival coverage, we will also be running previews of some of the interesting and lesser known films. This is the first post in the series. ‘The Train Leaves At Four’ is a docu-fiction film of about 57 minutes. The film was shot with a family belonging to the ‘Baiga’ tribe, living in remote Madhya Pradesh. The film has been written and directed by Antariksh Jain. As Lamu packs his sack to migrate towards the city to work along with the labour contractor, his aging mother grieves in silence. Even her other two sons are not around to console her. While the eldest is working on the field, the youngest has set out early this morning towards the government office. He hopes to be employed in the village itself. Those hopes are soon shattered though and he is left overwhelmed. Much of what goes on in the government office – the official paperwork, the government schemes is lost in translation. By the evening, as Lamu waits for the train to arrive, the contractor’s condescending attitude and stinginess already makes it clear that he has signed up for a disaster, and it is too late for him to go back. Meanwhile, crestfallen and influenced by his brother, the youngest too confronts his mother and expresses a desire to leave for the city. 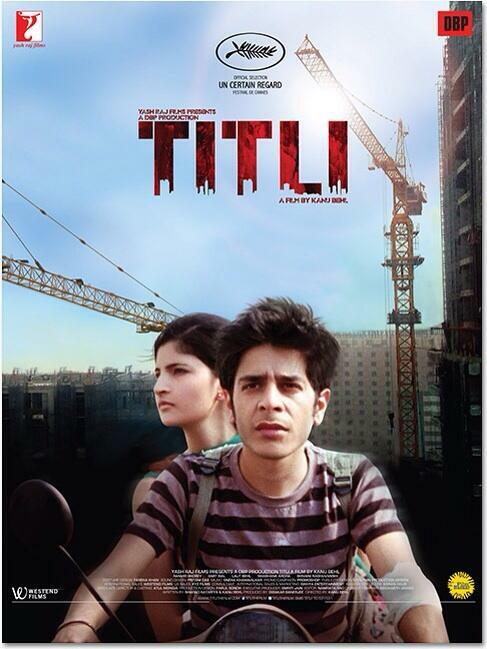 Finally, Kanu Behl’s much acclaimed directorial debut, Titli has a release date – October 16th, 2015. Produced by Aditya Chopra and Dibakar Banerjee, the film had its premiere at the Cannes Film Festival’s Un certain regard section in 2014. Since then, the film has been doing the fest rounds. In the badlands of Delhi’s dystopic underbelly, Titli, the youngest member of a violent car-jacking brotherhood plots a desperate bid to escape the ‘family’ business. His struggle to do so is countered at each stage by his indignant brothers, who finally try marrying him off to ‘settle’ him. Titli, finds an unlikely ally in his new wife, caught though she is in her own web of warped reality and dysfunctional dreams. They form a strange, beneficial partnership, only to confront their inability to escape the bindings of their family roots. But is escape, the same as freedom? For more details about the film, click here. After having its premiere at the last edition of Mumbai Film Festival, Manu Warrier’s indie feature Coffee Bloom is all set to hit the screens on 6th March, 2015. Directed by Manu and produced by Harish Amin, the film will now be receiving a major international release as it releases simultaneously in India, USA and Toronto. Coffee Bloom’ is the story of Dev Anand (Arjun Mathur), who is a self proclaimed wise man and has given up on life as a result of a love gone wrong. A life changing event takes him on a journey to a coffee plantation. There he meets Anika (Sugandha Ram), his long lost love, currently his boss. Love blooms in an idyllic setting, bringing Dev out of his self imposed funk and Dev finds a new reason to live. Coffee Bloom also stars veteran actor Mohan Kapoor and Bengali actress Ishwari Bose in supporting roles. Starring Arjun Mathur, Sugandha Ram, Mohan Kapoor and Ishwari Bose, Coffee Bloom is all set to hit theatres in India (Delhi, Mumbai, Kolkata, Chennai, Bangalore, Ahmedabad, Pune, Jaipur), US(San Francisco, LA, Seattle, New Jersey, Chicago) and Canada(Toronto). Finally. Chaitanya Tamhane’s much acclaimed debut film, Court, has finally got a trailer. If you are regular reader of the blog, you must be knowing that some of us managed to catch the film at Mumbai Film Festival and we really liked it. An assured debut, with no frills, and a vision without any compromise. No wonder it’s still doing the fests round. And much like the film, the trailer also maintains the minimalist approach – in tone and even in its font. Have a look. A sewerage worker’s dead body is found inside a manhole in Mumbai. An ageing folk singer is tried in court on charges of abetment of suicide. He is accused of performing an inflammatory song which might have incited the worker to commit the act. As the trial unfolds, the personal lives of the lawyers and the judge involved in the case are observed outside the court. We saw the film Sulemani Keeda at last year’s Mumbai Film Festival. To repeat what we had said, it’s the bonafide Versova indie – of versova, by versova, for versova (and hopefully beyond). It’s honest, charming, funny, and tells all those Versova tales which hardly travel beyond the walls of Aaram Nagar. If Luck By Chance was the big budget portrayal of the bollywood insanity, Sulemani Keeda is the opposite – of those who are on the fringes, of writers and their struggle with actors, producers, landlords. And here’s the good news – PVR Director’s Rare will release the film on November 28th, 2014. Do check out the trailer. In this slacker bro-mantic comedy, writing partners Dulal and Mainak dream of shaking up the Bollywood with their script “Sulemani Keeda”. When they’re not being rejected by producers who refuse to read their script, they lurk around bookstores and poetry slams shamelessly hitting on girls. They find some hope when the drug addled, cat-obsessed Gonzo Kapoor, the son of a famous B movie producer, hires them to write an art house film billed as “Tarkovsky with orgies” for his directorial debut. All seems well until Dulal meets Ruma, a beautiful photographer who makes him question his choices in life.